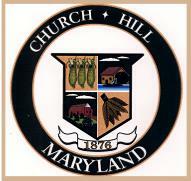 Town Meeting Minutes provide important information about the issues and decisions being made by the Church Hill Town Commissioners and those issues expressed by participating town residents. The Town Commissioners feel that it is important that the public have access to this information. To ensure that residents can review "Town Meeting Minutes" from current and previous town meetings, the "Town Meeting Minutes" will be made available covering up to the last several months of town meetings. Each individual page will contain the minutes for all the meetings covering a two month period. This will provide significant information to the town's residents interested in participating in reviewing the town meetings. The minutes are approved at the following meeting and will be posted on this site.